Local Union No. 533, U.M.W. 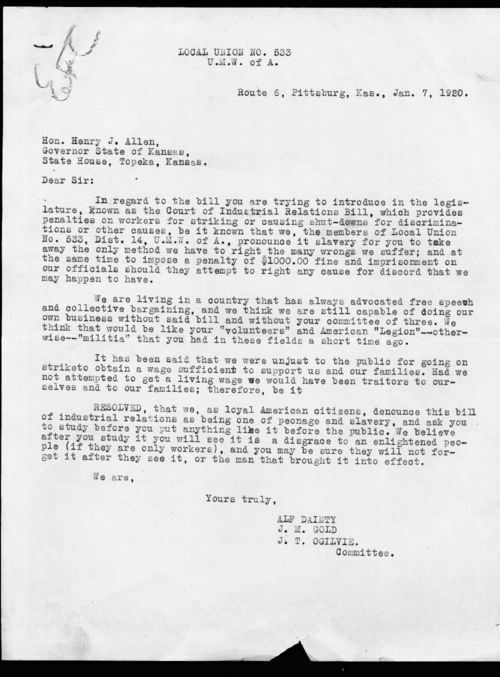 of A., from Pittsburg Kansas, writes to Governor Allen protesting the proposed Court of Industrial Relations bill which they state would provide penalties on workers for striking. The Union states that they strike to "obtain a wage sufficient to support us and our families" and would like the governor to make sure he studies this bill and anything like it before it is made public.